Xiaomi Mi A1 smartphone was launched in September 2017. Now, Chinese company Xiaomi has reduced the price of his Mi A1 up to Rs. 2000. It is great news for all those users who want to buy Xiaomi Mi A1. But this is a limited period you can get Rs. 2000 benefit from 7th December to 9th December on Mi.com and Flipkart online shopping website. 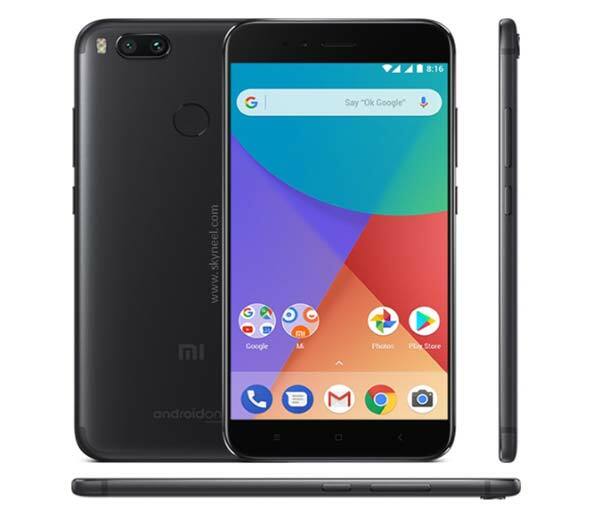 The Xiaomi Mi A1 smartphone comes with 5.50 inch smartphone with 1080×1920 pixels resolution. This smartphone is powered by 2GHz octo-core Qualcomm Snapdragon 625 processor which comes with 4GB high speed RAM and 64GB internal storage memory. You can easily expanded storage memory up to 128GB via microSD card. The Xiaomi Mi A1 smartphone priced at Rs. 12,999 only. This smartphone runs on Android 7.1.2 operating system with 3080mAh non removable battery. It has full metal body with high quality sound feature. If we talk about the camera, this smartphone comes with 12MP rear and 5MP front shooter camera for taking selfies with 2x optical zoom. The dimension of this smartphone measured in 155.4×75.8×7.3mm with 165g weight. The Xiaomi Mi A1 dual sim smartphone comes with 3G, 4G with Wi-Fi, PS, Bluetooth, USB OTG, infrared feature. You can also get compass, magnetometer, proximity, accelerometer, hall, ambient light sensor and gyroscope feature. This smartphone supports Volte/4G/3G/2G on compatible networks. This smarpthone is available in three colors black, gold and rose gold. Processor Octa-core Snapdragon 625 processor, max 2.0GHz. Adreno 506 graphics 650MHz. Memory 4GB RAM with 64GB internal storage. Expandable up to 128GB via microSD. Display 13.9cm (5.5) LTPS FHD display. 1920 x 1080 resolution, 403 PPI. 1000: 1 contrast ratio. Dimensions Height:155.4 mm, Width: 75.8 mm, Thickness: 7.3 mm, Weight: 165 g.
Price & Color Priced at Rs.12,999. Color: Black, Gold and Rose Gold. I hope you like Xiaomi Mi A1, recently Xiaomi announced Oreo Android 8.0 update for this phone but after users view and their problem Xiaomi suspend this update. We hope that Xiaomi Mi A1 users will get Oreo update very soon with all bugs fixed. Please use comment box and share your view on Xiaomi Mi A1. Thanks to all.